So the worst case scenario has occurred. What's next? Many people struggle to make their car payments due to factors such as a job loss or the rising costs of new vehicles. No logical person buys a car expecting to fall behind on their car loan, but circumstances change and sometimes it comes down to choosing between car or rent payments. Only one of these will keep you from being thrown out onto the street so, sadly, there goes the car. Repossession should always be the last resort, but if it has already occurred, the best thing you can do is create a game plan for what to do next. How Will Repossession Impact My Finances? 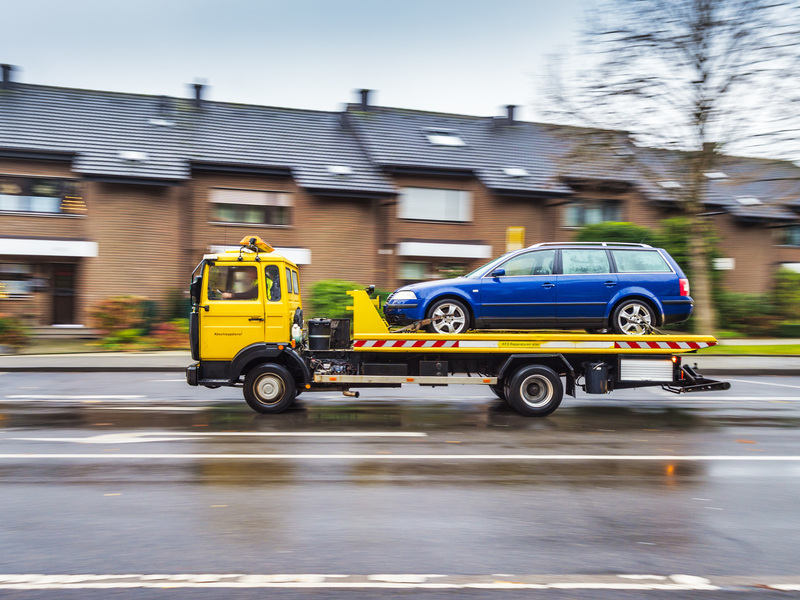 If your car was recently repossessed or you voluntary surrendered it, it's important to understand how your credit, bank account and your ability to get a replacement vehicle will be affected. According to Credit Karma, a vehicle repossession can stay on your credit report for 7 years and is comparable to a derogatory event such as a collection account. Since the repossession will be reported to all the major credit bureaus, you can expect a significant drop in your score. There's no way to predict the exact drop to a credit score after a repossession due to the numerous factors involved. Most people have a series of missed payments leading up to the repossession which starts the downward credit spiral. A repossession haunting your credit history may prevent you from getting approved for a future car loan or force lenders to hike up the loan interest rates since they are taking on more risk. Not only will a car repossession leave you with a damaged credit score and no vehicle, but you may also have to pay up after losing your car. If the lender doesn't recoup the full amount you owed on the car when they sell it at auction, they will come after you for the deficiency balance. This includes the loan balance plus interest and other repossession expenses. It may be painful, but if you're prepared to pay these fees, you won't dig yourself into an even deeper hole. While a repossession can certainly do a number on your credit, most people can't wait 7 years for it to be removed from their report to replace their vehicle. If you don't live in a major metropolitan area with good public transit, a car is likely the only way to get to work and take care of essential errands. Here's how to unravel the damage caused by repossession and get your second chance at car ownership. If you can hold off on buying a car even just for a few months, you can take a few steps to expedite an improved credit score. Getting rid of credit card balances, decreasing your credit utilization and getting errors on your credit report corrected will boost your score and improve your odds of getting approved for your auto loan. A cosigner with good credit can be your golden ticket to car loan approval. By asking a family member or a close friend to cosign the loan, you'll greatly improve your odds of getting approved at a reasonable interest rate. A cosigner mitigates the risk to the lender since they're agreeing to pay should you default on the loan. Before enlisting a cosigner, make sure you're confident in your ability to make the car payments every month or you'll risk straining your relationship. Buying a car with bad credit and no down payment can be difficult, if not impossible. Take the time to save up for a down payment before moving forward with buying a replacement car. A down payment of at least 10% of a used car's purchase price is recommended and as much as 20% is ideal. The more you can save up and put down, the more likely you'll be approved for a loan. A larger down payment also means you'll reduce your monthly loan payments and your risk of defaulting again. You will need to be realistic with the type of vehicle you can buy post-repossession. If you made the mistake of buying a car priced outside of your means in the past, this is the time to learn from your mistake and choose something affordable. Instead of looking at new cars, check out some of the best used cars on the market and find one that fits your budget. A reasonably priced car along with a substantial down payment improves your odds of getting approved for a loan. The repossession on your credit report means you may not be able to just go to your bank to get an auto loan for a replacement vehicle. Luckily, there are lenders out there that specialize in bad credit car loans including helping those with bankruptcy, and repossession. Be prepared to see interest rates well above the average and make sure you shop around by getting pre-approved through several lenders to find the lowest possible rates.